The defensive 4 work unopposed, passing to progress up the field, the aim is to pass through the poles. This is unopposed to give the players confidence and isolate shape. 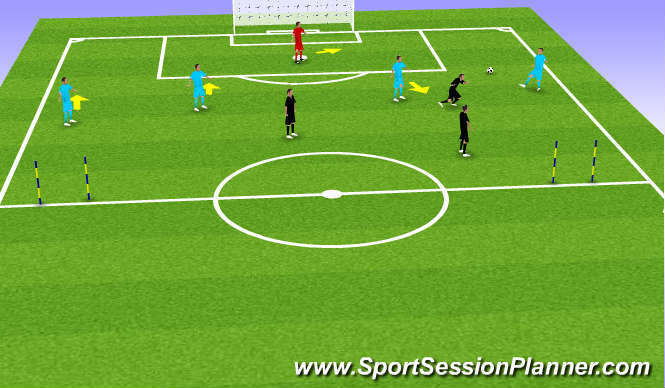 - communicate verbally & non-verbally to keep possession, passing when the player wants the pass, etc. 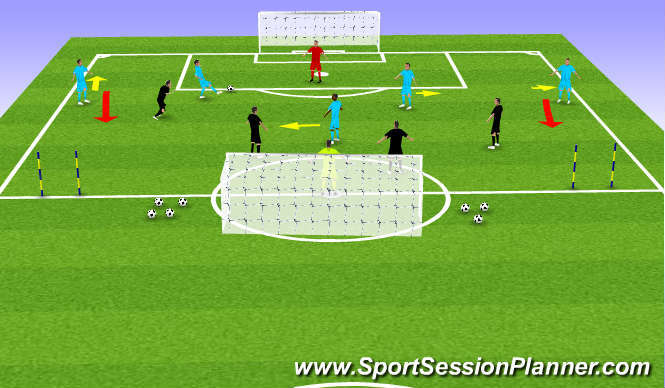 - consider receiving with the foot furthest from the ball to encourage time on the ball & balance. Restrict touches (2-touch only, etc). Add oppposition GK & CM for possession team and additional CM for opposition team. 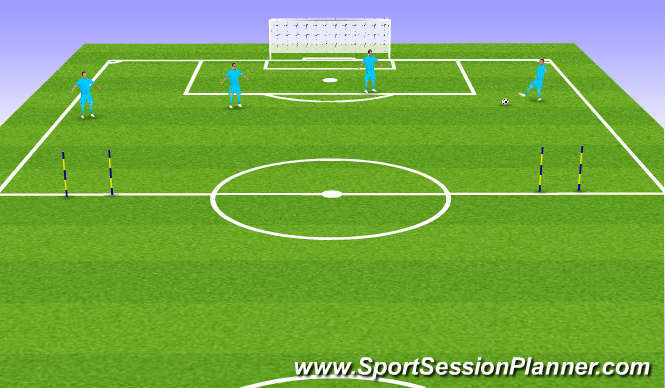 (Always start from this point) Oposition team GK loses possession in delivery to LB/RB, etc of opposition who after gaiming possession must meet session objective. Possession team must pass successfully between the poles, NOT strike at goal. Opposition GK acts as &apos;server&apos;. over-lap, under-lap, movement short to create / munipulate space, etc. aerial, to space, etc. Know the pass that the team-mate wants.